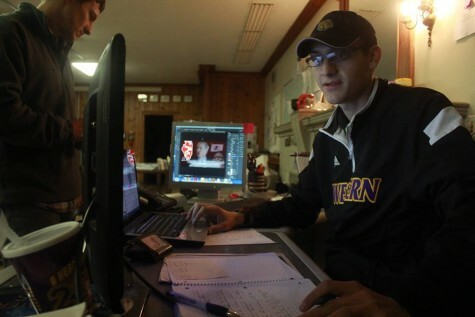 Nicholas Stewart is a senior meteorology major at Western Illinois University. Stewart has been the editor-in-chief since May 2014. Before becoming top editor, Stewart started as a photographer in October 2011. He then started as assistant photo editor in August 2012 before becoming the photo editor in January 2013. Stewart has won several awards through Illinois College Press Association, primarily for photography and page design. This includes taking first place in the 2015 "Shoot Chicago" photo competition. Aside from working in journalism, Stewart is a storm chaser and severe weather researcher. Stewart has an interest in broadcast meteorology and disaster mitigation as a career.